I have sent u questions in Mansory porsche cayenne 957 kit, I would like to ask where can I find exhaust tip which is fitment for Mansory rear diffuser. My car is Porsche cayenne 957 2008. Would you happen to have 22” Deluxe Design D10 Wheels in silver w/polished lip in stock or laying around in the wearhouse? Looking at your black Modulaire 19" wheels from your 2015 threads. 15MM offset in rear and 7MM in front. I think it was Ryan's car which was lowered by 1". Curious what that exact set up would cost in the same color/style? My tires have had it. I can't think of a better time to replace the wheels as well. 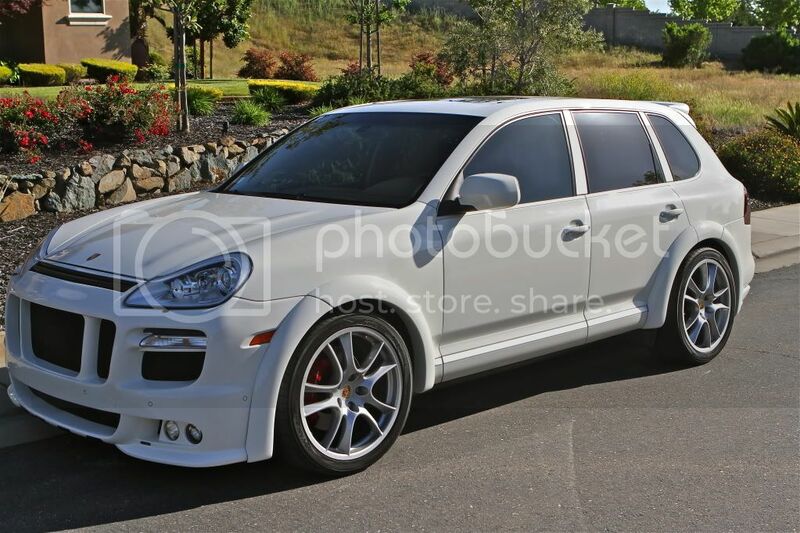 I have an 08 Cayenne Turbo with the Hamman Body kit. Currently I am running the 21" Porsche sport wheels. I have thought about going to 22's. I really like the wheels in your avatar. Looking for your recommendations. Peter I just purchased a set of forgiatos in 20x8.5 front and 20x11 in the rears. I am stuck onw the Continental - ExtremeContact DW because the reviews on ride quality and noise are to my preference. The caveat is that they dont have 305's but 325's, do you think this will work with my rears being 11s? And, if so do you have the conti's in stock. 245/30/20 front and 325/25/20 rears. If not what tires would you recommend if ride and noise comfort are the priorities? Can you send me some ideas for 20" wheels for a Cayenne. Want lightweight. thanks. The car is white. What is the price for the Tech 1-110 in 19 inch. (8.5x19 and 11.5x19) in brushed and in gloss charcoal? I don't need the center caps. You can reply to [email protected] or Pm me.